In food processor with knife blade attached, purée green onions, garlic, spinach, oils and tarragon 1 minute or until smooth, scraping bowl occasionally with rubber spatula. Add mayonnaise, mustard, lemon juice, salt and pepper; process 30 seconds or until combined. Makes about 2½ cups. 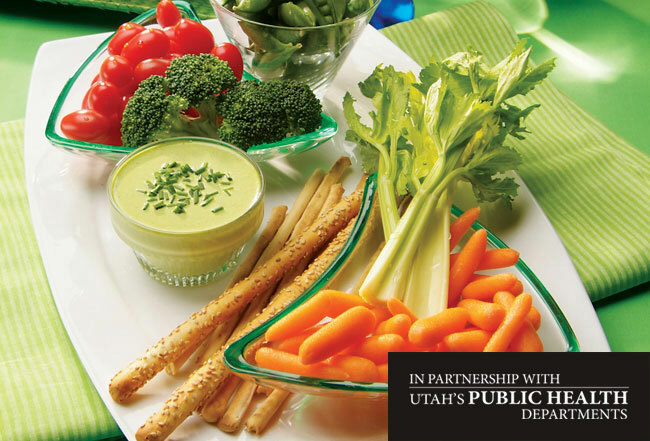 Serve dip sprinkled with chives, if desired, along with Vegetable Medley and sugar snap peas. Rich in healthy fats with a moderate amount of sodium, this is a guilt-free way to enjoy your fresh veggie tray. Consider serving with a carbohydrate-based side or using this dish to balance higher carbohydrate meals in order to manage carbohydrate intake to about 60-70% of your daily caloric intake.